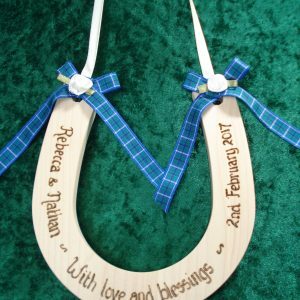 Pearl and Organza Wedding Horseshoe – a stunning keepsake for the bride. 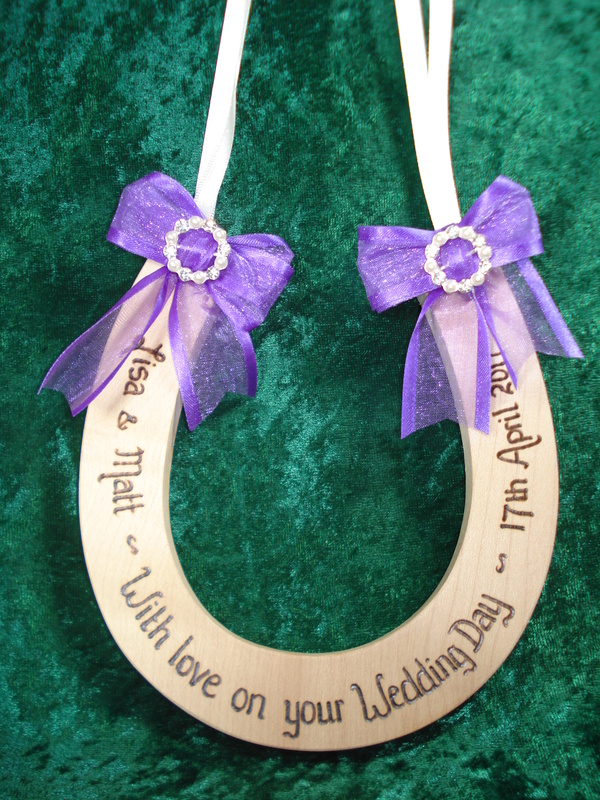 Features a double satin ribbon to loop over the brides wrist. 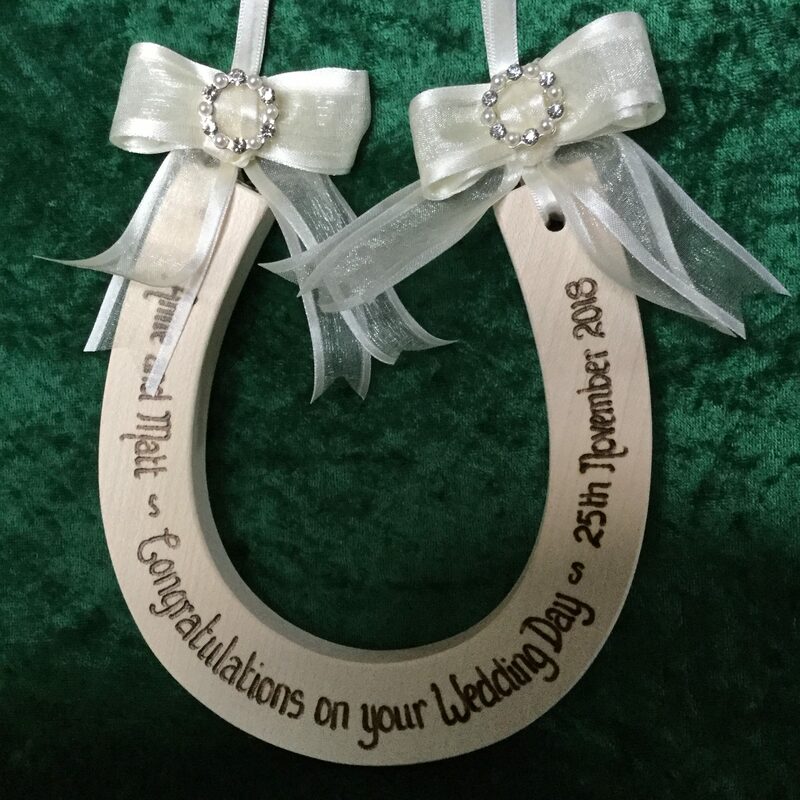 The horseshoe is decorated with a satin edged organza bow either side. 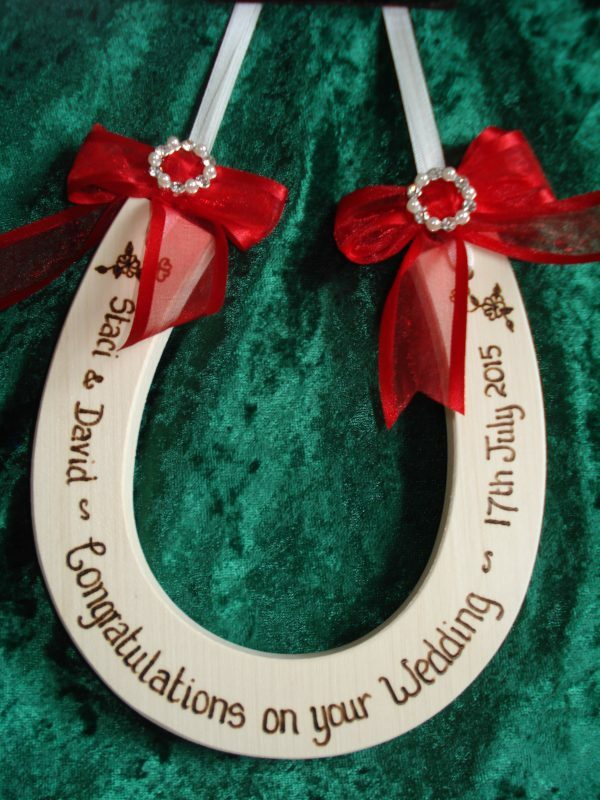 At the centre of the bow there is a pearl and diamante circle slider buckle. 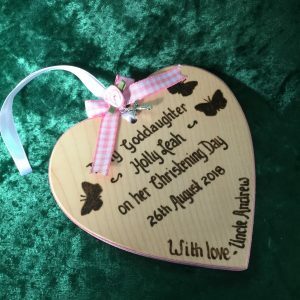 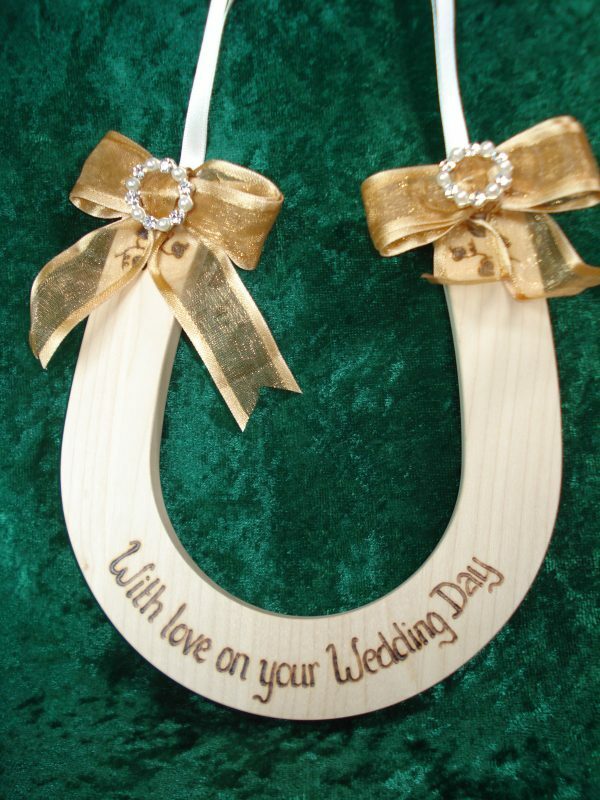 The horseshoe is solid sycamore and measures approximately 5.5 x.5.5 x 0.5 inches. 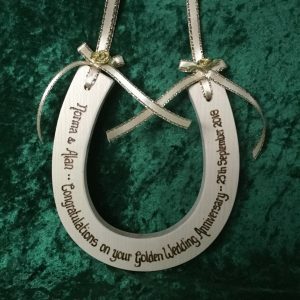 There is room on the back to add your greeting. 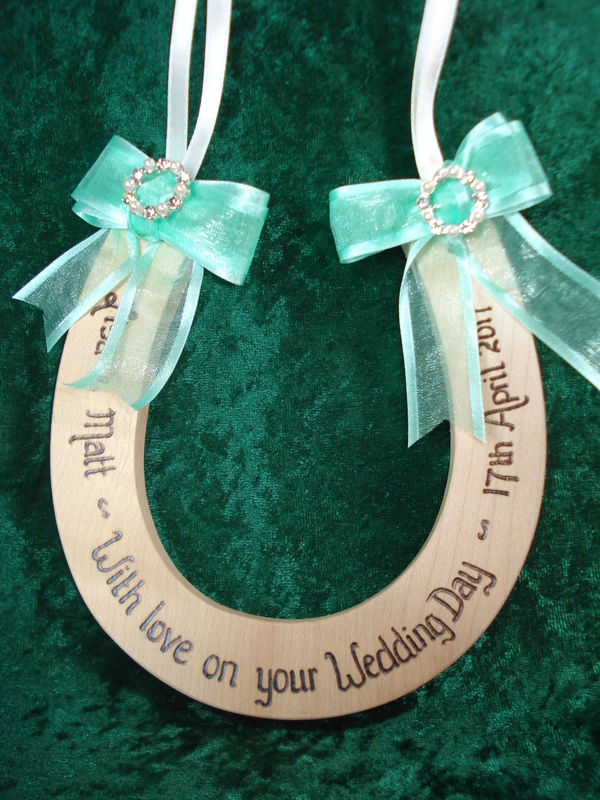 The Pearl and Organza Wedding Horseshoe can also be adapted for Anniversaries. 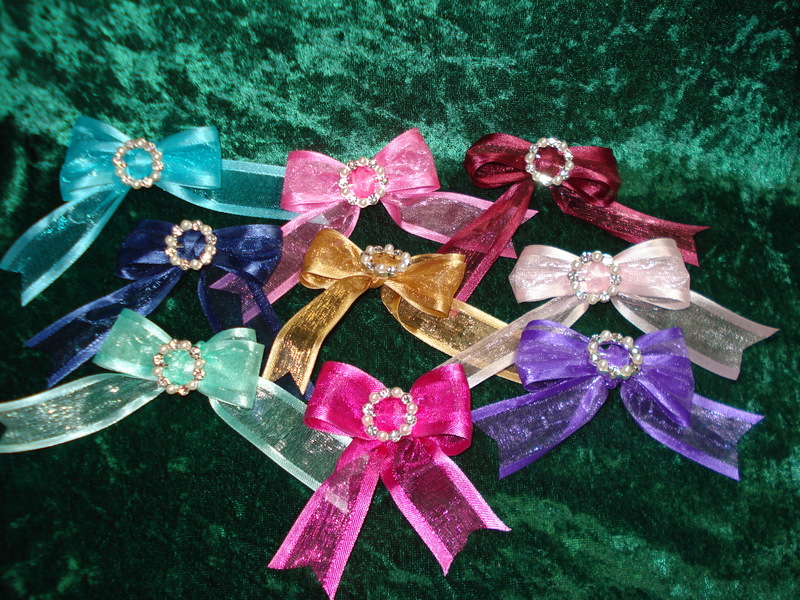 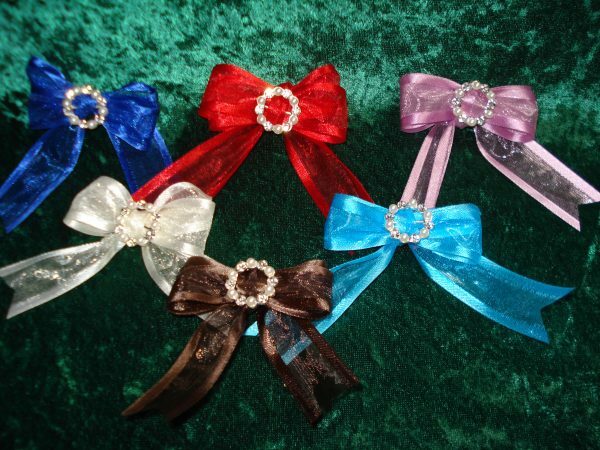 Pale pink, navy, red, ivory, turquoise, chocolate, cerise, purple, mint, gold, burgundy, royal blue and heather.